Western medical knowledge and observation blended with Eastern practices and healing wisdom. The practioners at Bodymind Synergy Health Centre (BMSHC) offer you a progressive approach to your health, leading the way to your well-being through modalities of Oriental Medicine. 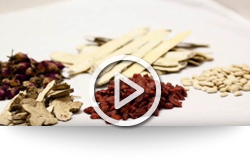 Western medical knowledge enables doctors of traditional Chinese medicine to deliver complementing treatment that supports your body to get better from the inside. BMSHC holistic approach to health incorporates nutrient rich foods and herbs, seasonal change, Yin & Yang, meridians, and modalities for enhancing your vitality.